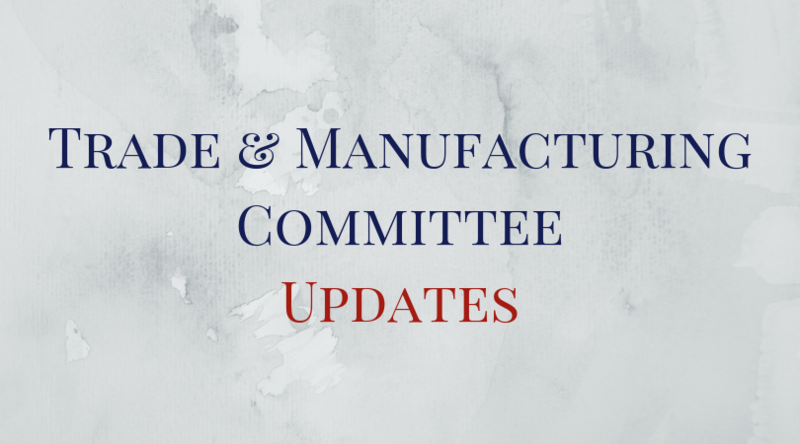 Stay tuned with the Trade & Manufacturing Committee to keep informed on legislative amendments as well as on the issues your peers are facing. AmCham Moldova continued discussions with the Ministry of Economy and Infrastructure, and National Agency for Food Safety on the necessity to amend the Government Decision 938/2018, as well as to stop charging the fees for inspecting foodstuff of nonanimal origin. Additionally, AmCham Moldova commented on the draft Nomenclature on Services provided by the National Agency for Food Safety. AmCham Moldova participated in the discussions on the draft regulation on packaging and packaging waste. Additionally, AmCham is developing a serial of proposals to amend the Law 1540/1998, thus enabling a regulatory framework for the implementation of the EPR principle in packages waste dimension. AmCham continued its dialogue with Customs Service on several acts. Specifically, Trade & Manufacturing Committee Coordinator attended a series of working group meetings on proposed amendments to the GD on customs valuation of goods; as well as on the amendments to the GD on the application of customs destinations. Supplementary correspondence was developed on the facilitation of export in postal consignments, as well as on removal of some technical barriers for import of IT equipment. For more information, please contact Adrian Gheorghita at adriangheorghita@amcham.md.